The countdown on AMD’s 2000 series Ryzen CPU launch is ticking down and we’re now exactly one week away from the chips’ debut. As it turns out, the chips have actually become available for purchase in several countries in Europe and Asia over the past week. This has resulted in some very interesting early user benchmarks and overclocking results surfacing well in advance of the CPU’s official launch. The latest one comes via a user that has managed to snag a Ryzen 7 2700X and overclock it to 4.225GHz, then proceed to benchmark it while playing Battlefield 1. The user has also benchmarked the chip at stock clocks, and the 2700X, surprisingly, sustained a 4.0GHz clock speed on all 8 cores throughout the testing right out of the box. By comparison, the 1700X would only Turbo to 4.0GHz in single threaded workloads on one core, and run at a maximum clock speed of 3.6GHz on all 8 cores with XFR enabled. This indicates that the Ryzen 2000 series chips have a significantly more aggressive Turbo algorithm than their predecessors. Overall, it looks like the average OC on a 2700X paired with an X370 motherboard so far is between 4.2-4.3GHz. It will be interesting to see how much of a difference the new X470 motherboards will make for overclocking. Each of these chips features 8 cores and 16 threads and will run at up to 4.35 GHz and 4.0 GHz respectively. 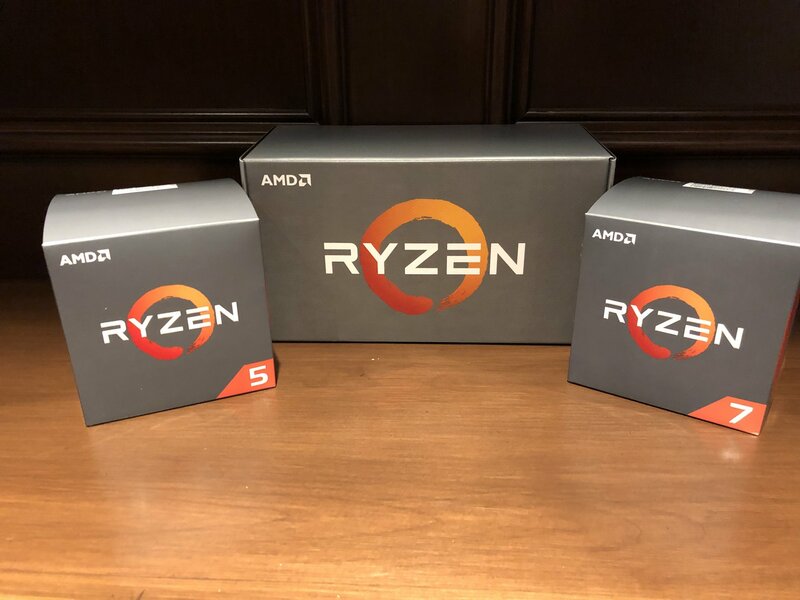 The Ryzen 7 2700X will be the highest end Ryzen 2000 series part at launch, it’s not clear yet if AMD is planning to introduce an even faster Ryzen 7 2800X down the line. The 2700X is rated at a thermal design power envelope of 105W and comes with the company’s brand new Wraith Prism cooler. The Wraith Prism cooler features a transparent fan featuring RGB lighting as well as lower operating noise levels than the company’s previous Wraith design. The Ryzen 7 2700 is rated at a thermal design power envelope of 65W and comes paired with the Wraith Spire cooler. These six core, twelve thread parts rated at 95W and 65W thermal design power envelopes respectively. They will operate at clock speeds of up to 4.25 GHz and 3.9 GHz and will come paired with the Wraith Spire and Wraith Stealth coolers respectively. The Ryzen 7 2000 series will officially be available for purchase next week on the 19th.